It's that time of year again - forking out funds for your car's annual MOT test is never an event anyone looks forward to. But how can you avoid spending more than you need to this year? Prepare your car for its next MOT test with help from our MOT preparation tips - from how to pass your MOT to knowing when your MOT is due, learn everything you need to know today. According to UK law, after your car is more than three years old, it will require an MOT. This is a test performed on the car to check it is working correctly and adhering to the legal health and safety guidelines set in place. If your car fails this test, the element(s) which have caused the car to fail must be replaced as a legal obligation. Top Tip: If you're not sure when your car is due it's MOT, open this link: https://www.gov.uk/check-mot-status and select "Start now". You will be prompted to enter in your vehicle registration details and confirm whether correct. Your vehicle details will appear including when your road tax is due, and when your MOT expires. Tyres - checking your tyre pressure and tyre tread depth is a good place to start. Also note that the spare tyre (if applicable) must also be road-legal. Lighting - are all the lights working? Are there any cracks or damage? If any of the bulbs have blown, it's usually relatively easy to replace these yourself. Brakes - Brakes can be a common failure for MOTs so take a peek at your brake pads - these are visible through the spaces between the wheel's spokes. If you see less than ¼ inch of the brake pad, this could indicate they need to be replaced prior to the test, or at least inspected. If you're unsure, always take your car to a trained specialist to check. Windscreen - ineffective windscreen wipers are also a common reason for a car to fail its MOT. As the rubber ages, the blades can often cause smear or stick to your windscreen. Also scan your windscreen for any cracks, check if the windscreen wipers are worn down or not working properly, and topping up the screen wash can't hurt either. Seatbelts - cars will fail their MOT if the seatbelt isn't capable of being clipped into the seat belt holder. Check whether your seatbelts are working, and that they are not frayed or cut. Exhaust - the best way to check your engine is revving it with the car stationary, doors open and parking brake on. By doing this, you can listen to if the engine has any unusual noises or rumbles that indicate further inspection could be needed. Your engine will also need to be free from corrosion as any smoke may cause your car to fail the emissions section of the MOT. Remember, if your car does fail its MOT, you will need to get the failed element(s) replaced immediately before you can legally drive it again. This is usually completed at the garage where you've had your test taken. Find out more information on retests undertaken by Formula One Autocentres. Prepared your car for its MOT? Book in your test with us online today. 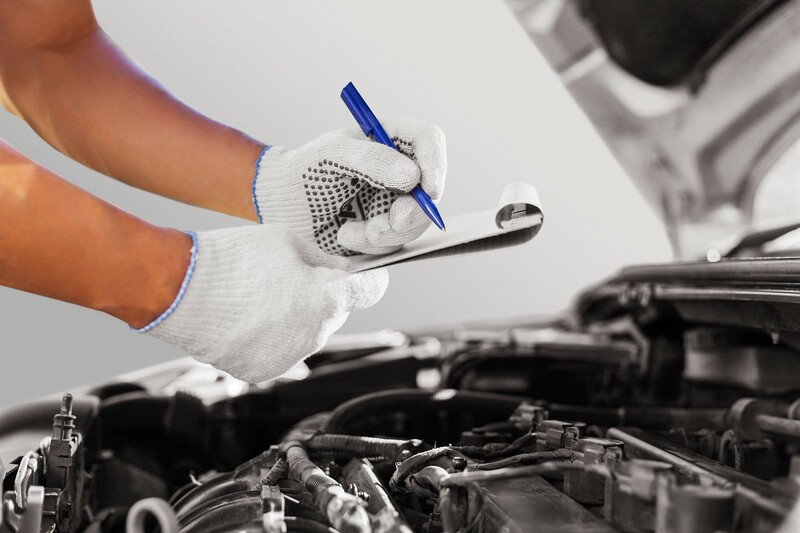 All of our MOT Testers are trained to the highest of standards and Our testing stations are approved by the Government-appointed Driver and Vehicle Standards Agency (DVSA).